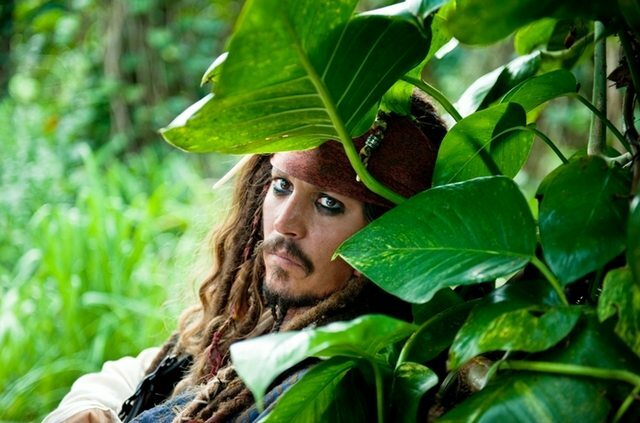 Pirates of the Caribbean: On Stranger Tides swooped in with the top-grossing weekend of the year so far. The supernatural swashbuckler claimed an estimated $90.1 million at 4,155 locations, edging out Fast Five’s $86.2 million launch. That was also the 12th highest-grossing May opening ever, but, since close to half of On Stranger Tides’ gross was from 3D presentations at a record 2,747 locations (and due to today’s general ticket prices), its estimated attendance level would rank 27th. Relative to its predecessors, Pirates of the Caribbean: On Stranger Tides sank: At World’s End drew $114.7 million on its first weekend in May 2007 (not including $13.2 million in Thursday night previews), while Dead Man’s Chest raked in a then-record $135.6 million opening weekend back in July 2006. Adjusted for ticket price inflation, those grosses would be the equivalent of $131 million and $163 million, respectively. On Stranger Tides’s start was also less than that of the last Johnny Depp spectacle Alice in Wonderland (2010), which began with $116.1 million. Pirates of the Caribbean: On Stranger Tides: [Adventure, 2 hr. 17 min.] Johnny Depp, Penelope Cruz, Ian McShane, Kevin McNally, Astrid Berges-Frisbey, Sam Claflin, Geoffrey Rush. Midnight in Paris: [Romantic Comedy, 1 hr. 40 min.] Owen Wilson, Rachel McAdams, Marion Cotillard, Michael Sheen, Adrien Brody, Kathy Bates, Léa Seydoux, Tom Hiddleston.